As many of you know, my other “gig” beyond this blog is my Etsy shop, where I sell hand stamped jewelry and ornaments. It’s truly a “mom and pop shop,” as my husband and I work on the business together, from coming up with design ideas to manufacturing the products. Our main product lines include: Name/Word/Quote Jewelry, Team Spirit Jewelry, and Christmas Ornaments. And we, of course, offer personalized and custom items. I am very excited to welcome a new sponsor to Simply Sweet Home! 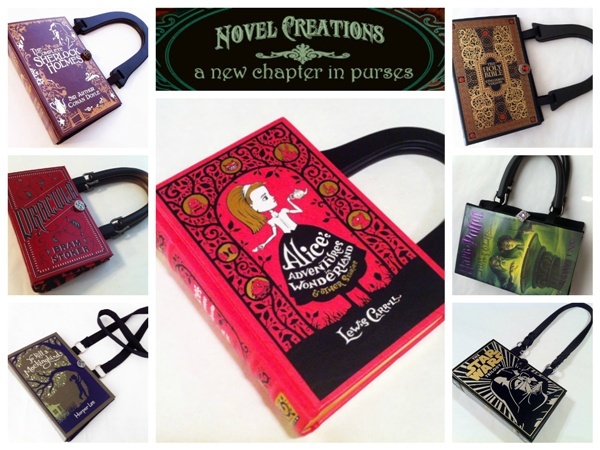 Novel Creations is a new chapter in purses! Karen of Argyle, Texas has taken some of the best loved books out their (classics and current favorites) and repurposed them in to cute and fashionable purses and clutches.